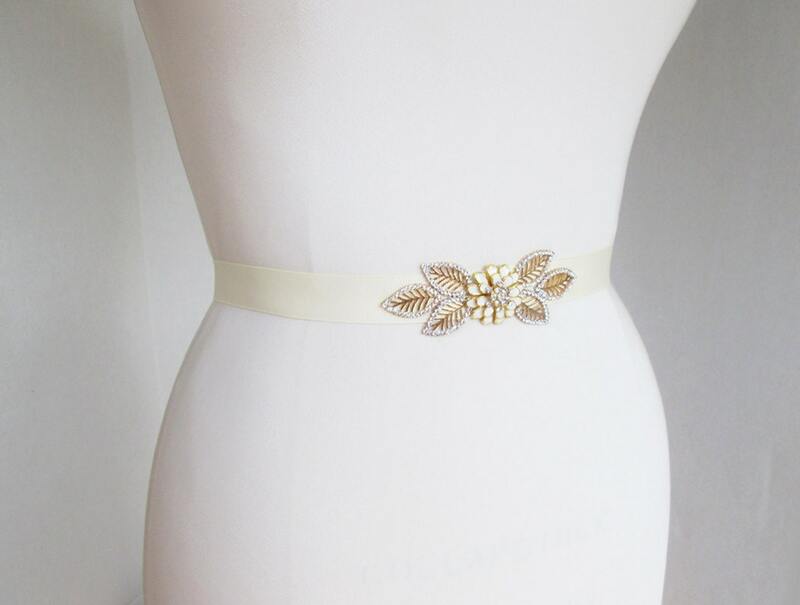 This petite belt features a simple elegant floral design in gold with crystals and enameled flower petals. 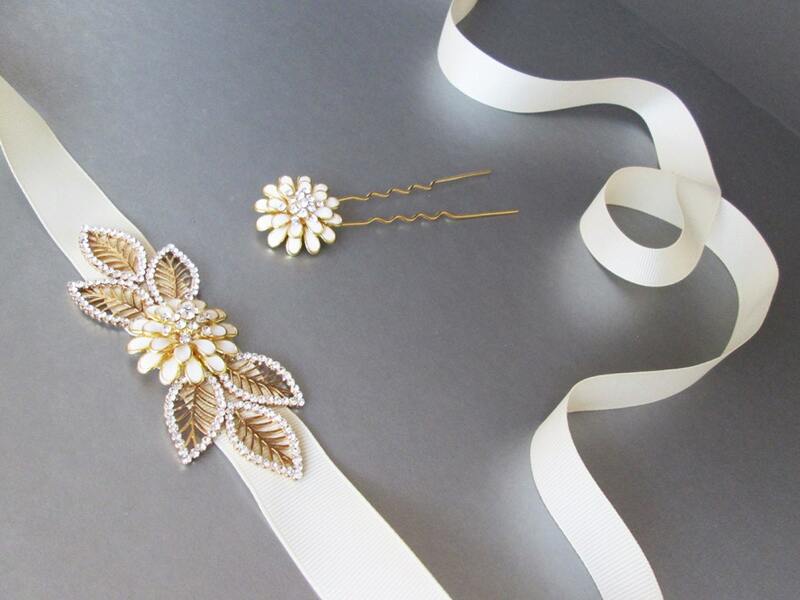 The belt comes with a perfectly matching hair pin. The crystal design of the belt measures 4" long and 1 3/8" wide. 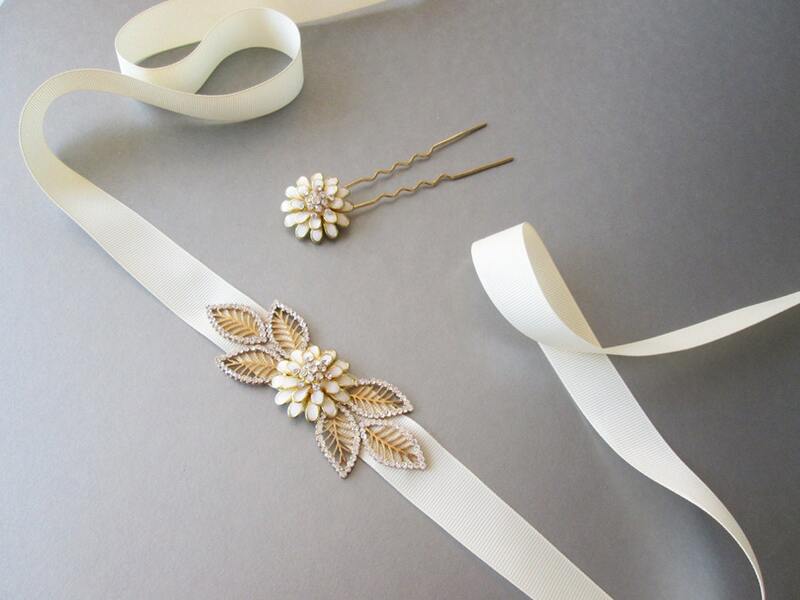 The ribbon used is 1" wide ivory grosgrain ribbon and measures 150" long. 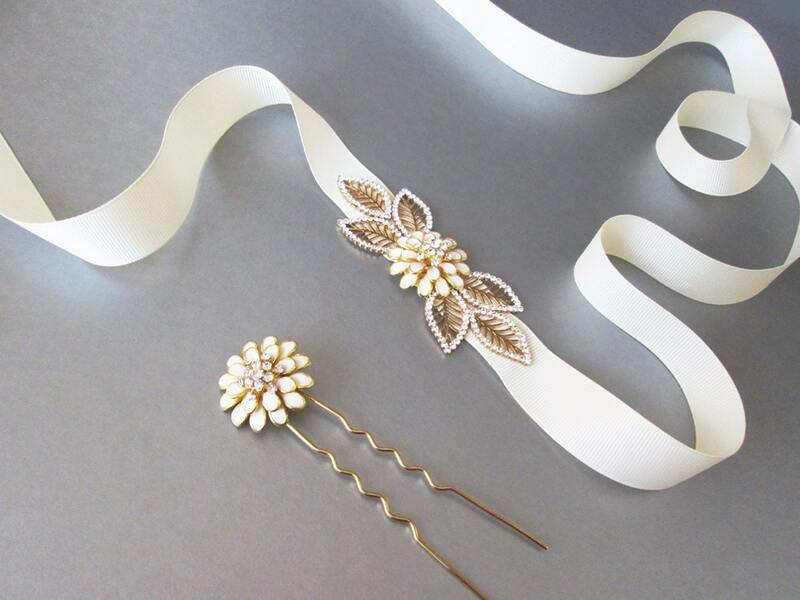 The hair pin measures about 1" in diameter on a 3 1/2" long pin. 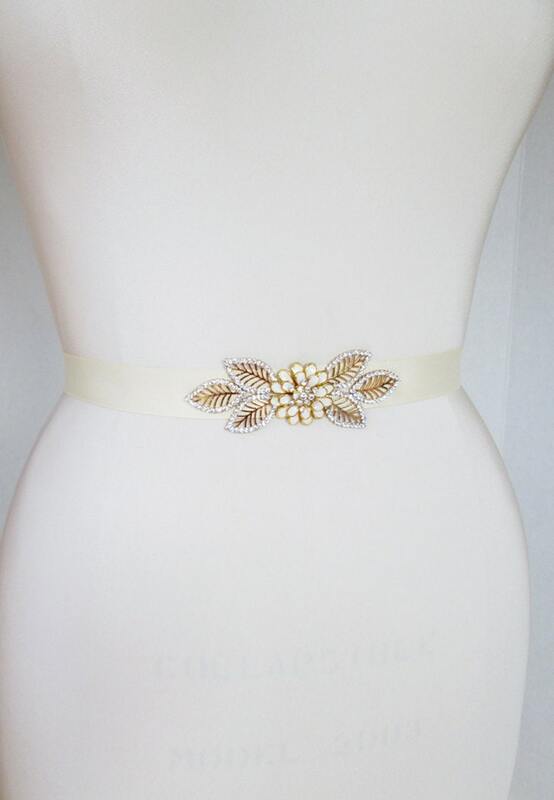 The belt is available with grosgrain, satin or organza ribbon.